Interior Alignment® Trademark and Marketing! For details on how to use (and not use) our trademarks and logos, please download and read our Trademark Guidelines! Do not use the logo or wording or our tagline with any product or other service your may be marketing. For example, if you make space clearing spray, you may not place the logo or wording on the product, or market this product as associated with the words Interior Alignment® or Seven Star Blessing Space Clearing™. Do not market yourself as the only IA representative in an area, or place a number of others the area (such as ‘one of only three IA practitioners in the upper Mongolia area’). New people are being certified every day and people move a ll the time, so keeping your marketing truthful would become impossible. Do not use the wording with any marketing on the internet, other than in conjunction specifically with your authorized Interior Alignment® services. For example, if you also do angel reading, or chakra clearing, you may not create aservice or a keyword search of Interior Alignment® Angel Reading or Instinctive Feng Shui™ chakra clearing. Do not use the wording Interior Alignment®, Instinctive Feng Shui™, Synchro-alignment , or Seven Star Blessing™Space Clearing in any domain name. majority of your service and recommendations, do not call this an Interior Alignment® Feng Shui consultation. Do not use the wording Interior Alignment®, Instinctive Feng Shui™, Synchro-alignment™, or Seven Star Blessing™Space Clearing in the name of any workshop/certification course you are conducting as a practitioner. These words can only be used in conjunction by authorized Master Teachers when teaching an approved certification course. Additional text should not be incorporated into the existing logo. Simply imagine a circle running around the logo/logotype and remember that nothing should go inside of that circle. DO use your trademark directly on the subject goods, or on the container or packaging in which the goods are sold. Use of a trademark in advertising, but not on a product or packaging is not sufficient to preserve your trademark rights. In contrast, use of a service trademark in advertising or signs offering the subject services is adequate use to establish or maintain service trademark rights. DO use the “®” notation wherever you use a federally registered trademark. DO NOT use the “®” notation on any trademark that is not federally registered. DO NOT use a trademark as a noun. Always use a trademark as an adjective followed by a noun. For example, KLEENEX tissue. DO NOT use a trademark in a possessive form, unless the trademark itself is possessive. For example, JOHNSON’S baby oil. DO NOT pluralize a trademark. Instead, the common noun should be pluralized. For example, two SCHWINN bicycles rather than two SCHWINNS. DO NOT use trademarks as verbs. Xerox, for example, runs ads pointing out that even Xerox can’t xerox, it can only photocopy. In the past, brochures and business cards (in addition to word of mouth) were stellar ways to market. Now, social media, websites, and variuos ways to use technology are becoming more important in establishing your credibility and marketing your services. 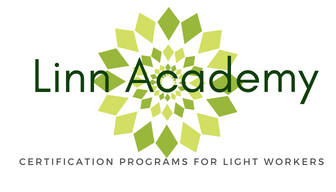 As an IA graduate, you are a member of The Linn Academy, and we want you to make use of the Practitioner Teleconference that give great current info on how to market your services. We also offer you ways to promote yourself online on the www.interioralignment.com website and our associated social media with a Shining Star membership level. We are proud of what you do… And when you have articles in newspapers, magazine, tv spots, etc, we want to brag about you! Send us links to where you appear in media, and we will spread the word and cheer! Send this to admin@interioralignment.com!